so drbmd & i went to sam ash at lunchtime and bought my new mixer. i guess drbmd was bored and looking for a distraction, which was fine with me. 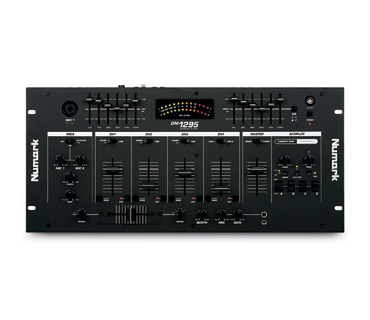 numark dm1295, with built-in sampler. that sampler is going to be awesome. i don't know if i'll get a lot of time to play with it tonight, as drbmd & i are also getting together to watch a little movie called ninja of the magnificence, which is guaranteed to be magnificently bad. but i definitely want to play around with my new mixer for a bit before i perform with it for the first time this friday.